Mac King Comedy Magic Las Vegas is one of the more entertaining no-frills show that is definitely family-friendly. This 75-minute event is as comical as it is magical as Mac King entertains his audiences with ease. Mac King is phenomenal in his show that has been rated as Best Bargain, Best Magician and Favorite Male Las Vegas Performer by various critics including the Las Vegas Review. Mac King is masterful in his stage presence and performance. King’s off the cuff humor is perfectly laced into the show that sprinkles a luscious amount of magic eye candy. During King’s performance there is plenty of audience participation when in one segment he has woman hide ten playing cards. King then returns to the stage in a yellow rain poncho when he systematically removes three cards from the woman and places them with another volunteer from the crowd. 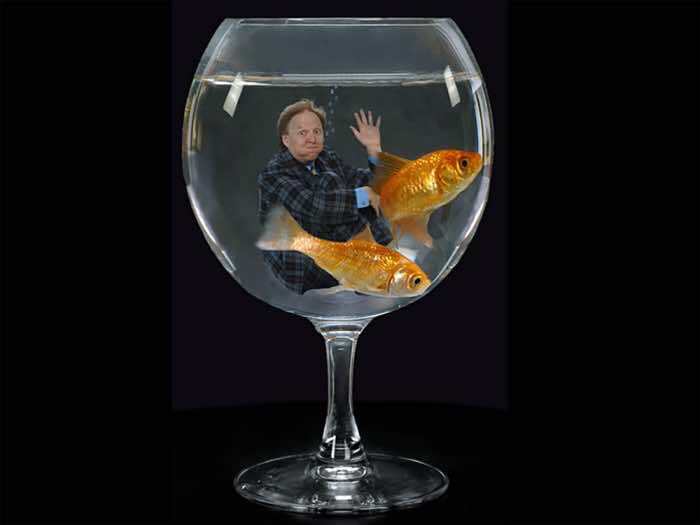 King will also use unusual animals in his tricks like goldfish as well as a white guinea pig. Patrons are surprised when King swallows a carrot and seconds later he spits out a goldfish. These are only samples of the magical fun that King brings to the stage on a nightly basis. One of King’s biggest assets on stage is his subtle off-the-wall humor and he knows when to take his humor further during each performance. King has all the right come backs to each situation that presents an opportunity to be comical. Guests are also amused when King dons his gold lame cape and proceeds with a funny impersonation of Elvis as well as Liberace. The Main Showroom at Harrah’s Hotel and Casino is an ideal venue for the Mac King Comedy Magic Show. The theater has great sight views with comfortable chairs in the VIP area and tables as well as booths for patrons. The venue provides easy access for King to choose his volunteers as he prowls the audience in an up-close and personal way. King’s interaction with different guests makes sure that each of his improvised skits is unique. While the props and tricks may not change, King is on-spot delivering his comical questions and answers. The Mac King Comedy Magic Show is the perfect way to share a delightful afternoon with your family and friends. With lots of audience interaction and plenty of magical comedy this event is sure to please crowds of all ages. Mac King was born and raised in Kentucky. King was interested in magic because of his grandfathers who both practiced magic tricks. King took the stage at an early age of 10 and entertained kids at a birthday party for $5.00 and cake. His next gig was at the Kiwanis Club in Greenville, Kentucky for $35.00. King would later graduate from Macalester College with honors in anthropology and magic. From here Mac King began performing at various comedy clubs in America which eventually led to him performing around the world in person and on television in such countries like Spain, China, Denmark, Australia, Argentina and more. One of King’s favorite performances came when he appeared on The Late Night Show with David Letterman. The show is performing at Harrah’s Main Showroom located within the Harrah’s Hotel and Casino. The venue is intimate and perfect for this type of comedy and magic event. The show is open to all ages and is family-friendly. The Mac King Comedy Magic show Las Vegas runs Tuesday through Saturday with two shows at 1:00 and 3:00 P.M. Mac King Tickets are on sale now and for your convenience range from general admission seating to a VIP seat.